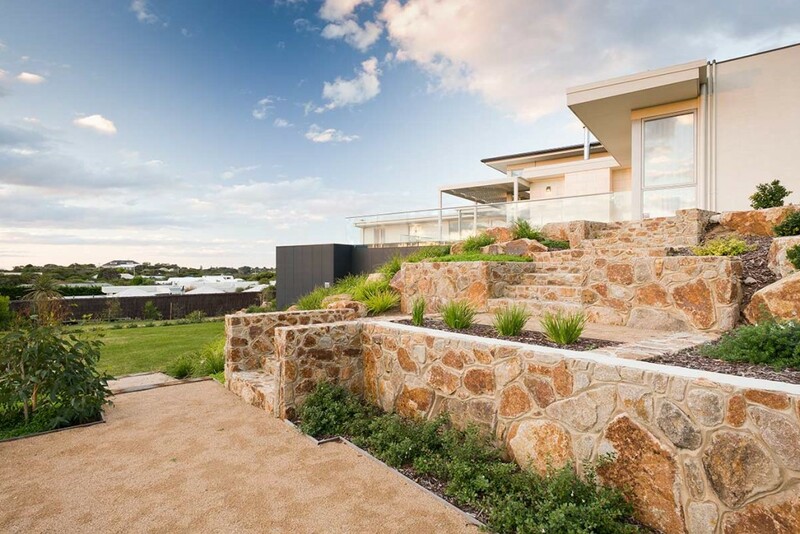 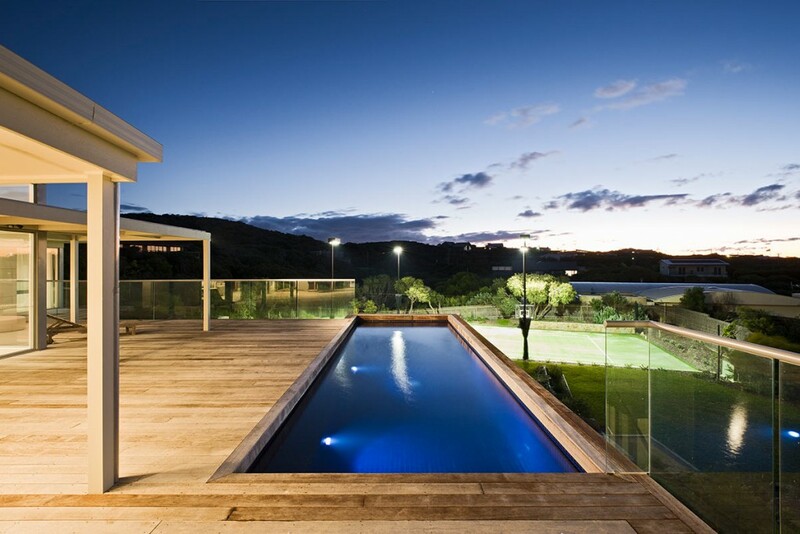 This project combines a pool, tennis court, retaining walls and a 100,000 litre underground water tank. 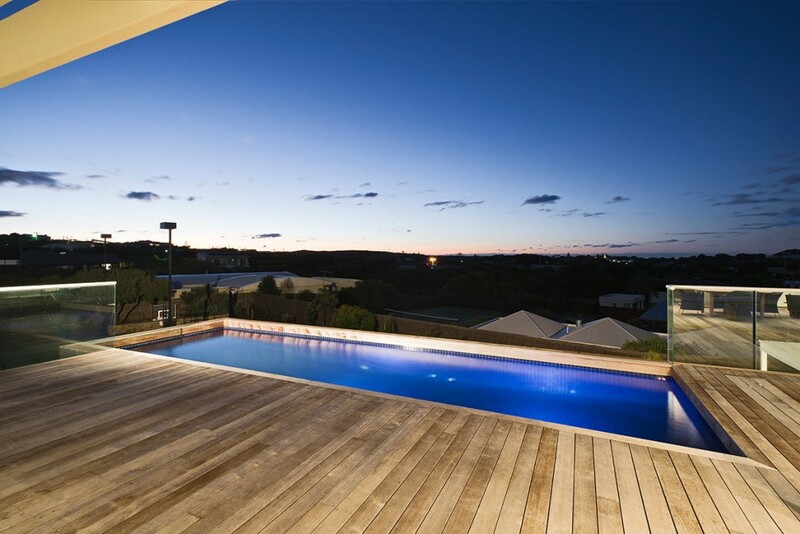 The fully tiled pool was constructed on a substantial above ground footing to allow it to match the living area of the house despite the substantial slope across the block. 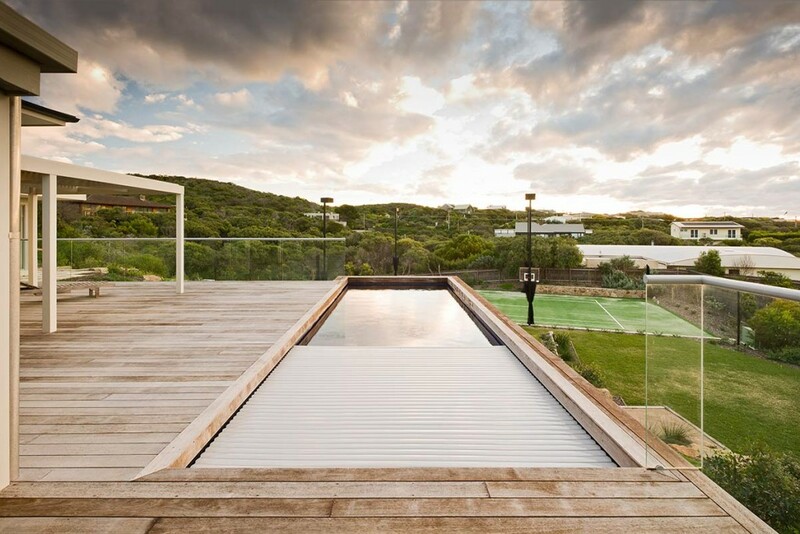 The pool features a submerged automated safety cover which retracts beneath the timber deck. 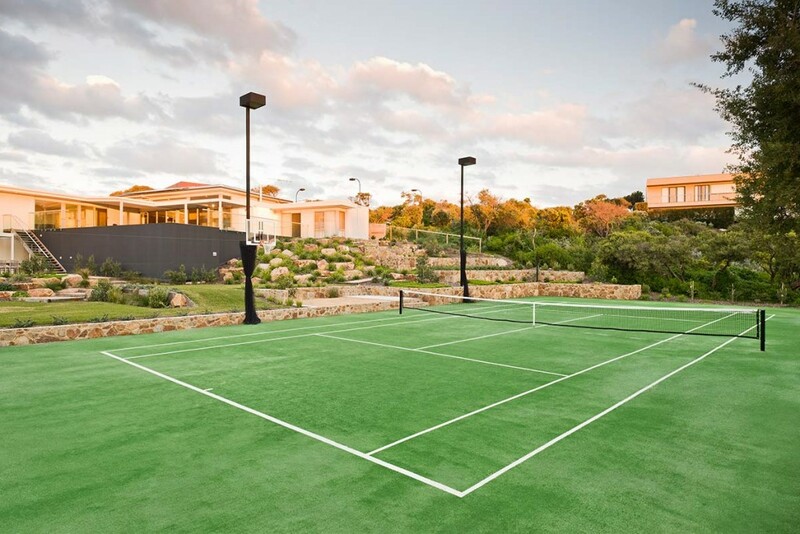 The floodlit tennis court is bordered by Dromana Stone walls which have continued in a series of terraces and steps to create an access path back to the house.